A common data pattern revolves around managing states and ensuring consistent transitions between states. This could be anything from a fulfillment process to workflows or other systems that require maintaining state. In this section, we will cover the concept of state machines using queues. Let’s consider a simple provisioning system (see Figure 1) in which you want to set up your new smart device, such as an Apple TV or Google ChromeCast, to play NBC Sports. This system involves signing up for a new website and the automatic provisioning of an application. The first time you use the NBC Sports application on your device, you are presented with an activation code. You then go to the application provider’s website, enter the code, and activate the application once an entitlement request is sent to your cable provider. In order to track the activation token used by each application, we create a map structure. This allows simple, keyed access so we can directly access the entry for NBC Sports without needing to iterate through a list. As we can see in the provision function, we can directly access the correct item in the map. Per the state diagram in Figure 1, the activation is put in the “Waiting” state, ready for the next transition. We added a write policy—AS_POLICY_GEN_EQ—to confirm that the version number (known in Aerospike as generation) is the same as the version number we read when we attempted to write to the record. This ensures that, in the meantime, nobody else has updated the record. If the record was changed, an exception will be thrown when the update is executed. There are several ways we can deal with this (e.g., re-query the record and try the transaction again, return an error to the user, compensate on failure, etc. ), but that is beyond the scope of this section. The key takeaway here is that you can track these changes—and act on them—programmatically. Queues are a common structure for when you need to guarantee order, especially when you are processing a set of events with many separate processes or threads. Queues are also a common pattern for achieving scalability and high availability through a stateless application server design. Due to its combination of predictable, high performance and superior reliability, Aerospike is a great technology to use to build a custom form of an application queue. Add the device as eligible for offers, etc. In the above example, we are going to use the todo list to track new incoming requests and the entitlement and device lists to track the separate workflows so that each process can record its progress. The process_entitlement function loops through the list of actions, looking for any that have not started (i.e. ts == 0). The timestamp (ts) is used to indicate that the process is being worked on. We can use this to implement a routine to unstick or restart the processing of the action in the case of failures. This will be covered in section IV—Inventory Control. As each action is marked as started, the do_entitlement function is then called to perform whatever functionality is required. 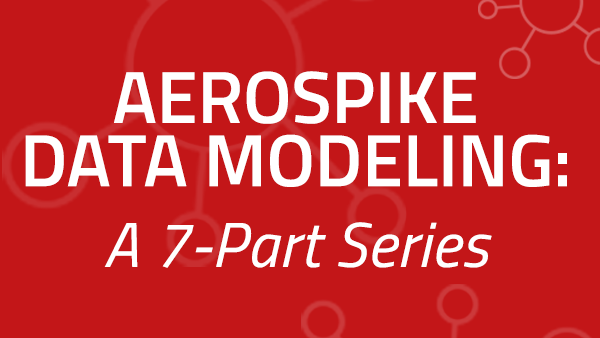 As you can see, it is quite straightforward to build and manipulate data models to support state machines, queues, and other structures with Aerospike. In the following section, we will discuss how to manage a finite (and perishable) resource such as ticket sales for the Olympics and how to deal with reservations that you may need to back out on.